Whether it hangs from a weeping willow, swing set, or over a river, classic tire swings have always been a summertime essential. Now that the weather is getting warmer nothing sounds better than unwinding in the backyard and for the kids, that means enjoying their backyard playground. A perfect swing seat hanging from a tree branch, though hard to come by, can lend itself to hours of entertaining outdoor play and relaxation. If your backyard is a bit barren at the moment and you aren't sure where to start in terms of building a tire swing, fear not. 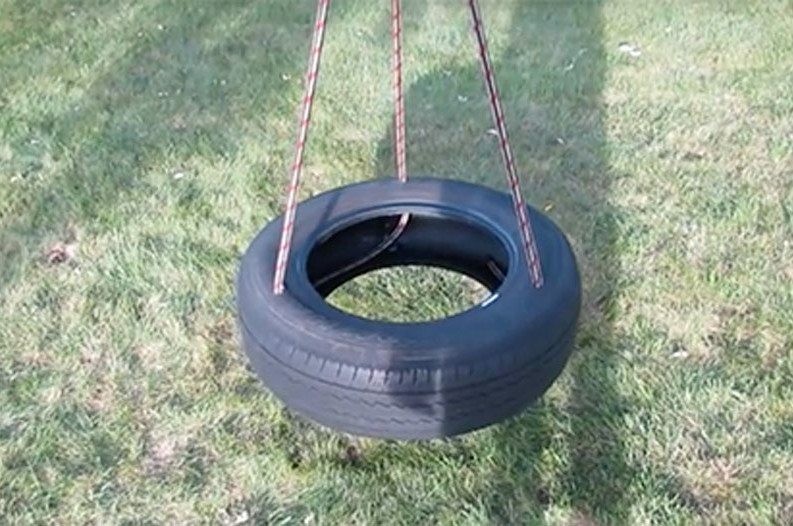 One handy YouTuber has shared the secret to crafting the perfect tree swing that you can make yourself with a heavy duty old tire (or new tire if you want). His video is so helpful that it has garnered over 18,000 views. Necessary materials for your own rubber tire swing include rope, an old bicycle tube, electrical tape, a drill, knife, metal washers, a rope clamp, metal nuts and of course- a tire. The builder made an effort to keep this swing safe for kids; there are no chains used and all of the metal parts are hidden inside the tire. That means no pinched fingers for the kiddos because they'll just be swinging around with tire and rope. The video is extremely easy to follow and includes a step-by-step demonstration. Check it out below and give it a try in your own backyard for some guaranteed summer fun. As the builder points out at the end of the video, the swing is very safe because there are no "pinch points" for fingers to get stuck in. The swing is also easy to inspect. It's important to check for worn parts and make any necessary repairs and adjustments to the swing on a regular basis. Happy swinging! This post was originally published on June 7, 2016.